Raised letters and numbers available in large (OCR) or small (regular) sizes. OCR allows for 18 characters per line. Regular allows for 26 characters per line. 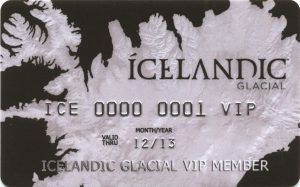 Characters are usually tipped in either black, silver, or gold foil. 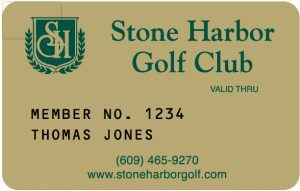 Signature panels are used on membership, credit, and a variety of cards. 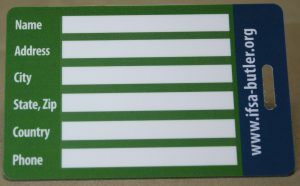 Clear and white panels are available for computer generated, typewritten or handwritten personalization. Panels for security purposes are available. Low or high density mag stripes. Super, thrift, thin and narrow sizes. Magnetic stripe encoding on track 1, track 2, and track 3 available. Text, name, PIN numbers or automated lists may be printed directly onto plastic or paper forms. 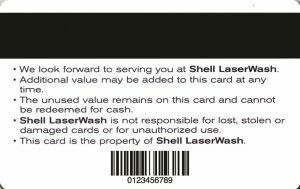 May be combined with bar codes and/or magnetic stripe encoding. Hot stamp printing is achieved by using pressure and heat to affix colored foil into the plastic surface. Scratch-off foil is available for special promotions and contests. Two methods: Bar coded labels and bar coding on plastic applied via thermal or ink jet printing. Multiple bar code formats available.